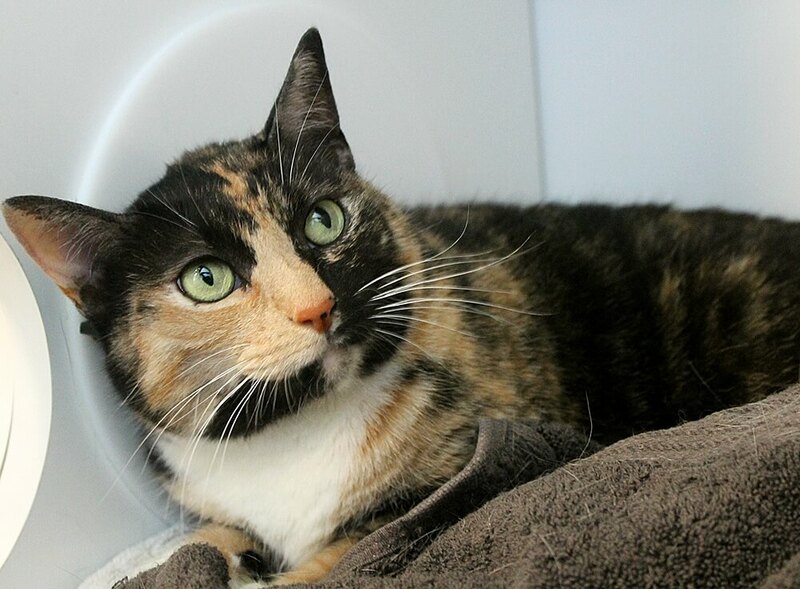 I am Suzie — the 7-year-old calico cat! I’m a quiet, sweet little lady with a very big purr. 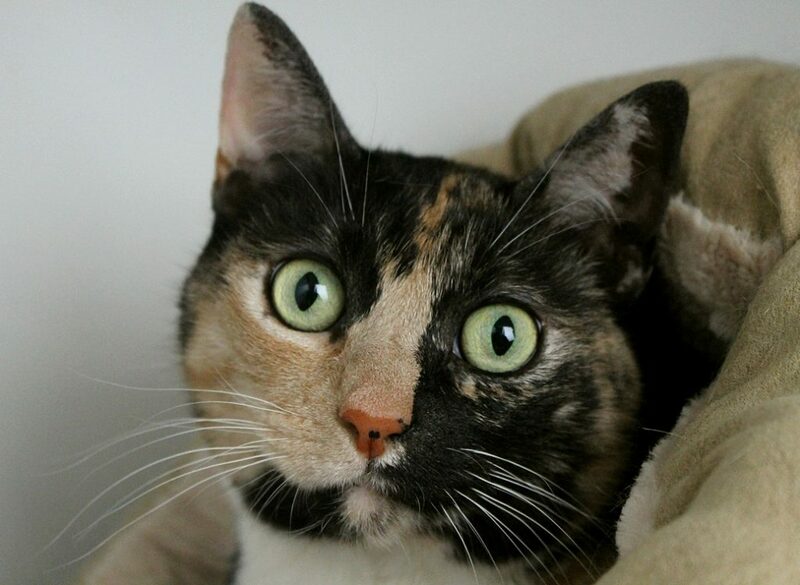 I am a very beautiful kitty and will often impress people right away with my orange markings and my big, yellow-green eyes. My favorite thing is to have people give me chin scratches — I will chirp and roll around in my caterpillar bed and purr, purr, purr away! Being in the shelter has been a little much for me, with all the other animals and hustle and bustle, so sometimes I’ll be just ever-so-shy until you reach in to pet me, at which point I’ll melt in your hands (and maybe drool a little, too!). I’ve never really been around other cats before so would do best as an only kitty and would also probably thrive in an adult-only home or a home with calm kids. I’m a very healthy, hearty, and low-maintenance girl and will be an easy companion for someone who just craves kitty cuddles. Even though I am still a little shy here, I am used to being in a home and bonding with my person and I know I will blossom once I find my forever place! Are you interested in getting acquainted? Stop by Pixie to meet me today! I come to you fixed, vaccinated, and micro-chipped for an adoption fee of $100.